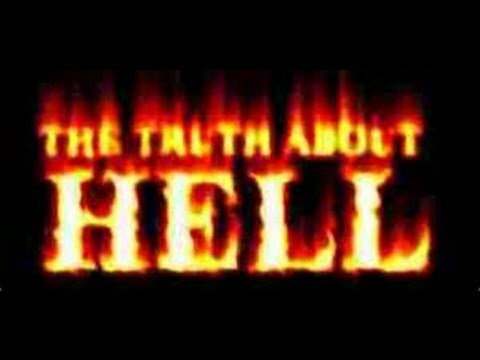 When is the last time you heard a sermon on Hell? Hell is a doctrine that in the majority of Christendom is dismissed today as being an archaic belief that is ripped right out of the pages of mythology. To speak of hell today is considered to be an unnecessary figment of over religious minds that seek to scare someone into submitting to an ogre-like God who takes delight in throwing someone who “steps out of line” into an eternal lake of fire. After all, it is said, a loving God would never banish anyone to suffer the fate of eternal flames. Interestingly, Jesus spoke more on hell than He did heaven. That being true, teaching about hell must not be dismissed as being antiquated, but is of the utmost importance to understand why there is a hell…and even more so how to avoid such a place. While discussing hell is a topic we like to avoid and dismiss, if it is a real place to neglect attention to its existence is at our own peril. The bottom line is this, when one understands the holiness of God one understands why there is a hell. And when one understands the holiness of God and sees their own sinfulness in the Light of His pure and perfect holiness, one understands that hell is what we all actually deserve. When one grasps the majestic, perfect holiness of God, like Isaiah (Is. 6), one will realize they are sinfully-unworthy to EVER encounter the presence of One so holy-other. The Bible is clear that God is holy and that God is love…He is holy-love. While Christendom puts great emphasis on God’s love, His love cannot be properly appreciated if one doesn’t understand His holiness. Holiness denotes the absolute majesty and splendor of God, that He is distinctly transcendent from any other being or thing He has created. He is holy-other. Holiness describes the essence of God. He is holy; divine holiness of character being who He is in all of His perfect ethical and moral authenticity and truthfulness. Holiness is His self-affirming purity; He cannot be other than holy. Holiness is God’s perfect righteousness. Habakkuk says, “Thou art of purer eyes than to behold evil, and canst not look on iniquity” (Hab. 1:13). Holiness is God’s infinite value and worth as the One who is absolutely unique and morally pure and perfect. God’s holiness pervades His entire being and shapes all His attributes and His actions with humanity. That God is holy means that His very being is completely devoid of even a trace of sin, unrighteousness or moral deviation. In the Creation Story, it was God’s desire that holiness be the atmosphere which would pervade the Garden of Eden, and man through fellowship with his Creator was to cooperatively conform to the order of His holiness. All of creation was to reflect the nature of a holy God, reflect the holiness of the Creator. God created the world where His holiness was woven into the very fabric of creation. When man willfully sinned, he defied God’s holiness. The doctrine of Original Sin means that each of us have inherited a sinful nature from disobedient Adam. Our inherited sinful nature means we are more than children who have gone astray, but we possess a nature that is consciously and actively rebellious against God’s holiness and our rebellion is directed against the holy God who created us and who is the true Source of all spiritual and ethical morality and reality. We are sinners by nature and by choice. Sin is that which seeks to undermine God’s rightful place in our lives and in mutiny disregards the very holiness of God. Sin in its very nature, is an assault on God’s holiness. When His holiness is violated, nature and man convulse with consequences which repulses holiness and invites holy justice. For our holy God there can be no compromise with sin. Sin must be dealt with. Judgement is holiness’ reaction to sin. Hell is where all sin that is not adequately dealt with will be banished; banished to a place of eternal alienation from God because holiness’ reaction to sin is just judgment. Since I am guilty before a holy God, since my sinful and rebellious nature has willfully rebelled against His pure and perfect holiness, unless my sin is dealt with, then holiness will justly deal with sin in judgement. When one sees their sin in the Light of God’s perfect and pure holiness, they realize that they are undeserving to ever come into the presence of His majestic holiness and justly deserve judgment. A holy God owes sin nothing but well-deserved judgment. God would deny His own holy nature if His holiness did not react to sin in judgement. Now remember, God is holy-love. Though God’s love desires to extend forgiveness, the offensiveness of sin and sin’s assault on holiness must first be satisfied and dealt with. While holiness cannot overlook sin, it must judge it, His love provided the means were by His holiness was satisfied and our sins could be forgiven!! Our holy God in love took upon Himself our flesh, and becoming the Representative Man, becoming our Substitute, He lived that perfect holy life which holiness demands but to which we cannot comply, therefore deserving judgement. Christ, as your and my Representative perfectly complied with God’s holy demands which I could never do, thus satisfying the demands of holiness. Then on the cross, the perfect Son of God took the sin of humanity upon Himself and confessed holiness’ just judgment on sin, which judgement you and I deserved, thus demonstrating love that goes beyond our comprehension. Christ lived a life I could not live, then paid a debt I could never pay (Romans 5:8; 2 Cor. 5:21). Now that is LOVE….and when you and I understand the holiness of God and the just judgment upon sin for violating God’s holiness, then one bows in awe and wonder at such love demonstrated in the Christ Event that makes it possible for sinful man to escape our sins deserved fate. When one grasps what Christ willingly did for us in His life and death, then the word “grace” takes on a depth of meaning that results in praise forever flowing from our lips. Yes, there is a hell. Hell is a reserved place for divine justice in the face of willful defiance to Divine Holiness. Holiness’ judgement is justified reactional justice on sins violation of God’s pure and perfect holy nature. Yet His Divine love, as seen in the Christ of the Cross, is offered and available to all who see their sinfulness in the Light of his Divine holiness and embrace the indescribable provision that is found in Jesus Christ. While the Bible clearly teaches there is a hell, the Word invites guilty man to kneel before the wonder of Christ’s loving provision who has made a way of escape from our much-deserved fate. O, what love. As Paul stated it, “Thanks be to God for His unspeakable Gift” (2 Cor. 9:15).